Amazon’s Echo devices started out as simple voice assistants, but they’ve grown to include much more. 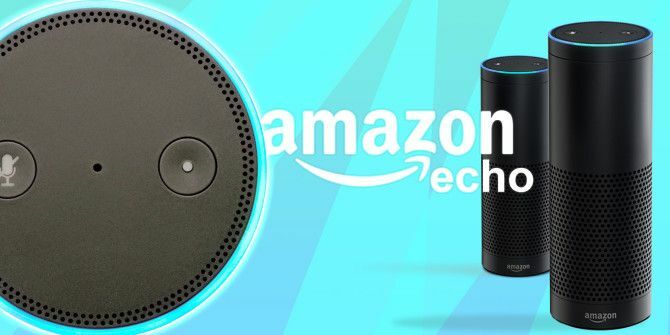 Now you can place voice calls and send messages How to Use Amazon Echo's Voice Calling and Messaging in 3 Easy Steps How to Use Amazon Echo's Voice Calling and Messaging in 3 Easy Steps Your Amazon Echo device and Alexa have been busy learning some new tricks. Long requested by users, messaging and voice calling adds yet another layer of usefulness to the enormously popular voice-activated speaker. Read More to other Echo users. And the new Echo devices, such as the Show How to Set Up and Use Your Amazon Echo Show How to Set Up and Use Your Amazon Echo Show Just purchased a new Amazon Echo Show? Here's a step-by-step guide for everything you need to know to get it set up and working perfectly! Read More , include a screen for even more possibilities like video calling. Alexa just revealed yet another new trick: you can now send SMS messages to anyone using your Echo. However, it’s only available for Android devices at the moment. Apple doesn’t let third-party apps use its messaging API, so it’s unclear if this will ever come to iOS. First, check to make sure your Alexa app is up to date. Open the Google Play Store app and slide out the left menu. Tap My apps & games and if you see an update for Amazon Alexa, install it. Tap the Conversations tab at the bottom of the screen. You’ll see a popup with an Ask Alexa to send SMS message. Tap Go to my profile. If you don’t see the above message, tap the Contacts icon in the upper-right corner of the Conversations tab. Then select your name at the top with My Profile. Finally, enable the Send SMS slider. Confirm the message and you’re good to go. When you want to send a text, say “Alexa, send a text.” She’ll ask you who the recipient is, then ask you for the message. The recipient will receive your text, plus an attachment with an audio recording of what you said. This makes it easy to get ahold of friends even when your hands are tied; it’s much easier than using IFTTT to create 10 of the Best IFTTT Recipes for Smart Home Automation 10 of the Best IFTTT Recipes for Smart Home Automation The right IFTTT recipes for your smart home can save you time, effort, and energy. Here are ten of our favorites to get you started. Read More canned messages. Make sure you say “send a text”! If you say “send a message,” Alexa will first try to send a message through the Echo messaging instead of SMS. Will you try texting with Alexa? What are your favorite Echo features? Tell us if you like messaging by voice down in the comments! Explore more about: Amazon Echo, SMS.